The development of modern routers require a significant effort to be designed, built, and verified. While hardware routers are faster, they are difficult to configure and maintain. Software routers, on the other hand, are slower but much more flexible, easier to configure and maintain, less expensive, etc. Recently, a modular architecture and toolkit for building software routers and other packet processors has been introduced: the Click system. It includes a specification language with features for declaring and connecting router elements and for designing abstractions. 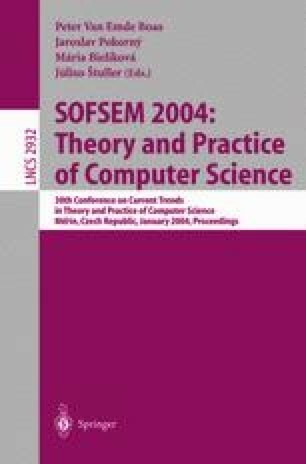 In this work, we introduce the domain-specific language Rose for the specification of software routers. Rose is embedded in Curry, a modern declarative multi-paradigm language. An advantage of this approach is that we have available a framework where router specifications can be transformed, optimized, verified, etc., by using a number of existing formal techniques already developed for Curry programs. Furthermore, we show that the features of Curry are particularly useful to specify router configurations with a high-level of abstraction. Our first experiments point out that the proposed methodology is both useful and practical. This work has been partially supported by CICYT TIC 2001-2705-C03-01, by the Generalitat Valenciana under grant CTIDIA/2002/205, and by the MCYT under grants HA2001-0059, HU2001-0019 and HI2000-0161.